A very popular traditional poem often used for birth samplers. 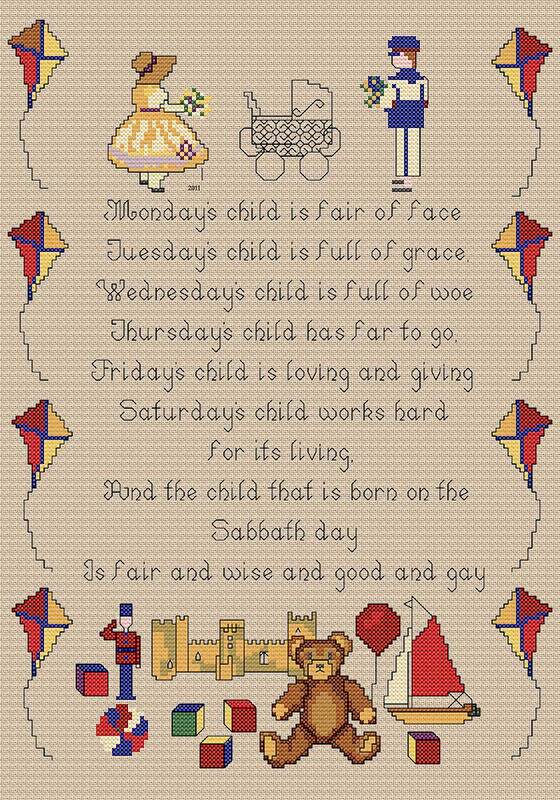 The little kite border is worked in cross stitch with the words of the poem in backstitch. There are a few fractional stitches used in the little building bricks in the foreground. The design may be stitched on linen or Aida fabric.